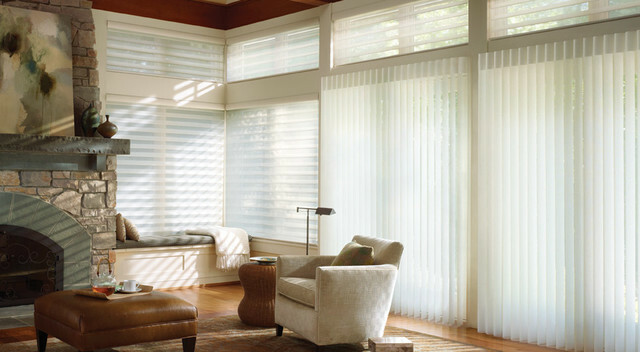 We make covering sliding glass doors a breeze with Hunter Douglas window fashions! Click the photos below to learn more about each product. Not only are these shades and shutters perfect for sliding doors, they are also a great solution for expansive windows and high rise loft windows.